Boneless pork ribs after 5 hours in the crock pot with Rogliano's zesty authentic red Italian sauce. An absolute festival of flavors in my mouth! Seriously, those ribs have never tasted so good. 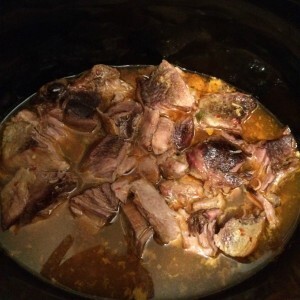 Put ribs and dressing in the crock pot on low for 5 hours.